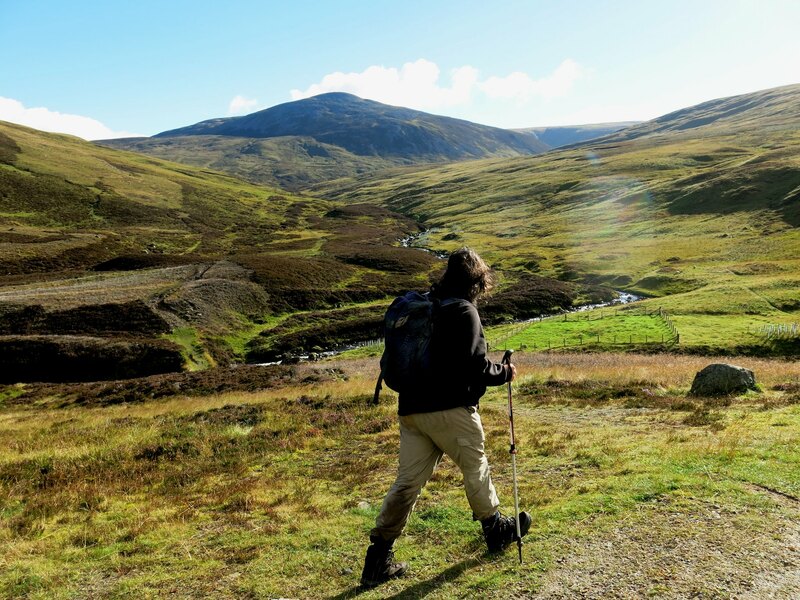 This was the last of several pleasant if sometimes not over-exciting walks in the Ballater-Braemar area, that we did on our September 2015 holiday. 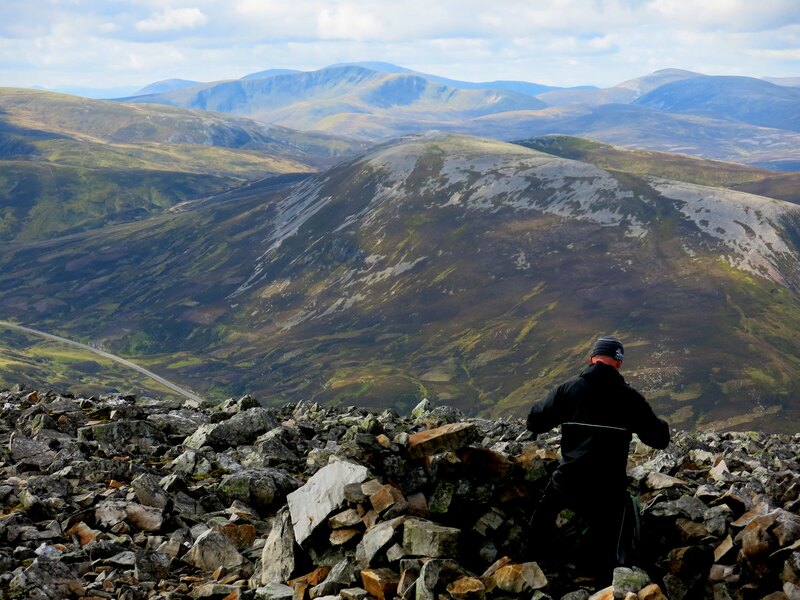 Reports 2 and 3 cover Lochnagar and Ben Macdui. 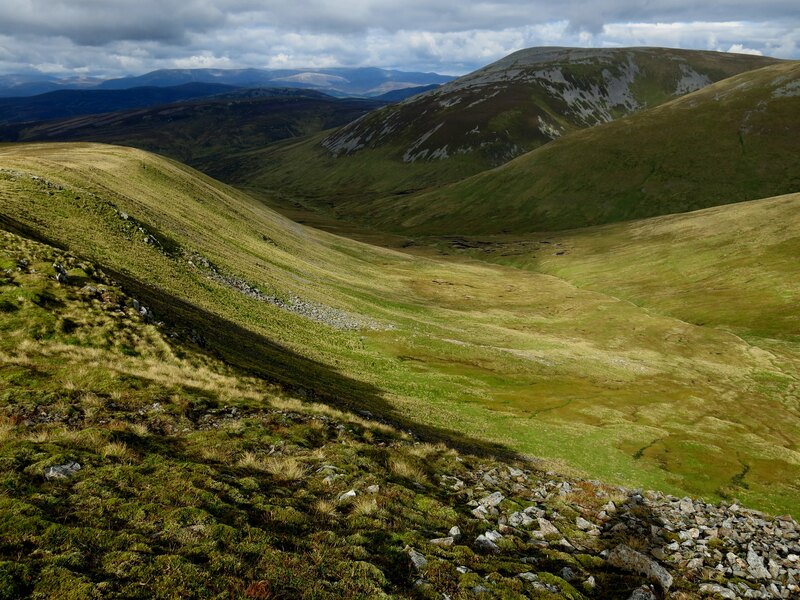 Other walks - Glas Maol-Creag Leacach, Carn a'Gheoidh and An Socach - were unrecorded by my camera! Looking at the map, Carn Tuirc and Cairn of Claise appeared to be an obvious and easy circuit - and so it was. We set off from the car park on the A93, with a view ahead of Carn an Tuirc. 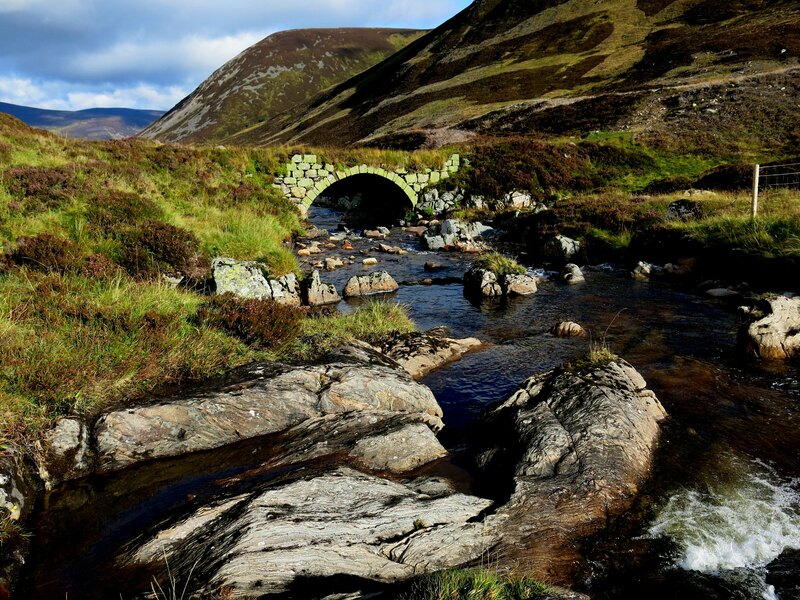 The route crosses a picturesque bridge on the old Military Road. 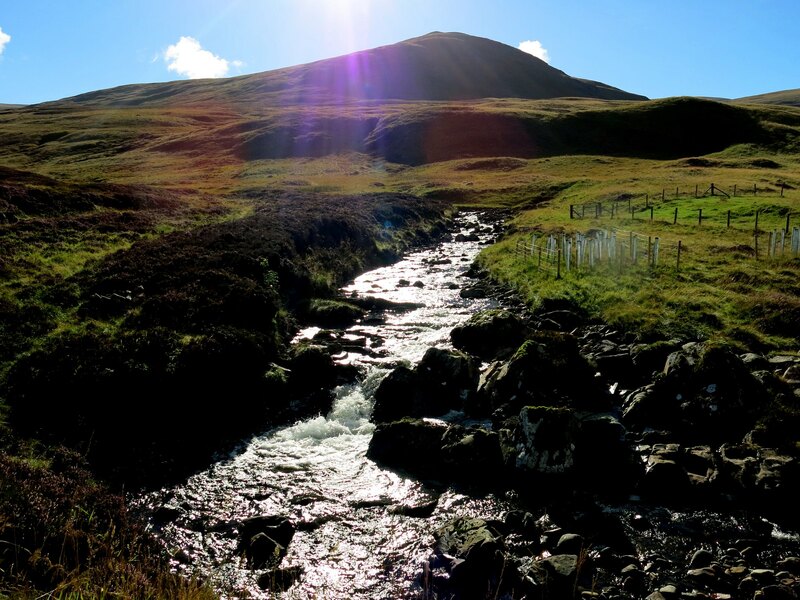 A view down the Clunie Water. Allt a'Gharbh-Choire and Carn an Tuirc. 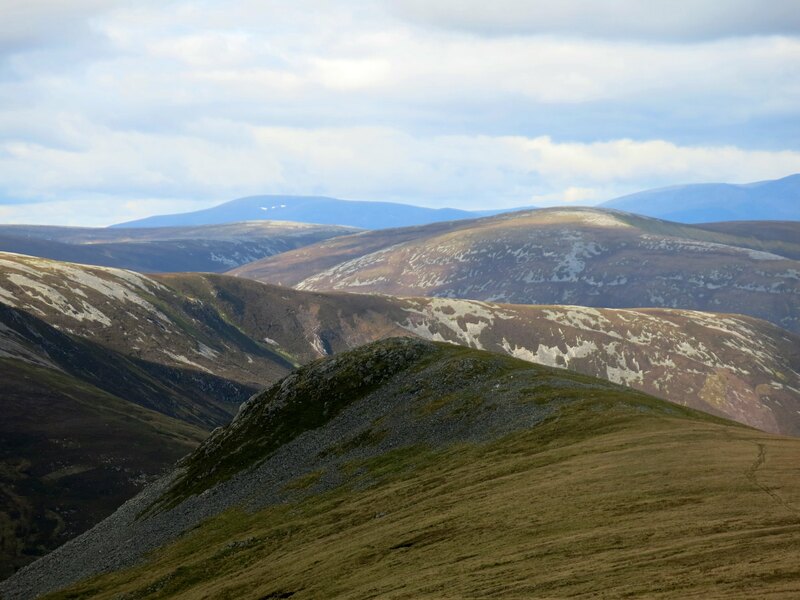 Glas Maol from the slopes of Carn an Tuirc. 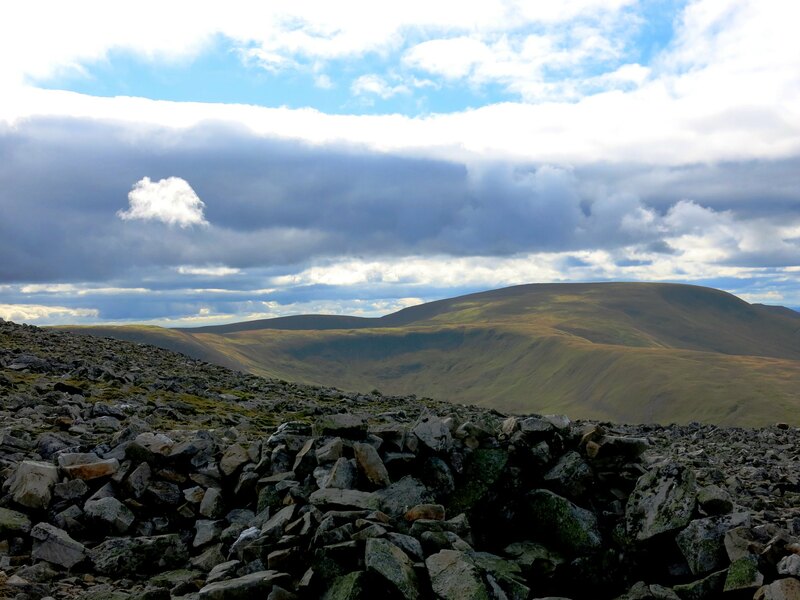 Nearing the summit - a wider view of Glas Maol. The view west from the summit of Carn an Tuirc. The most prominent hill is Glas Tulaichean, just overtopped by Beinn a'Ghlo. Carn an Righ is to its right. 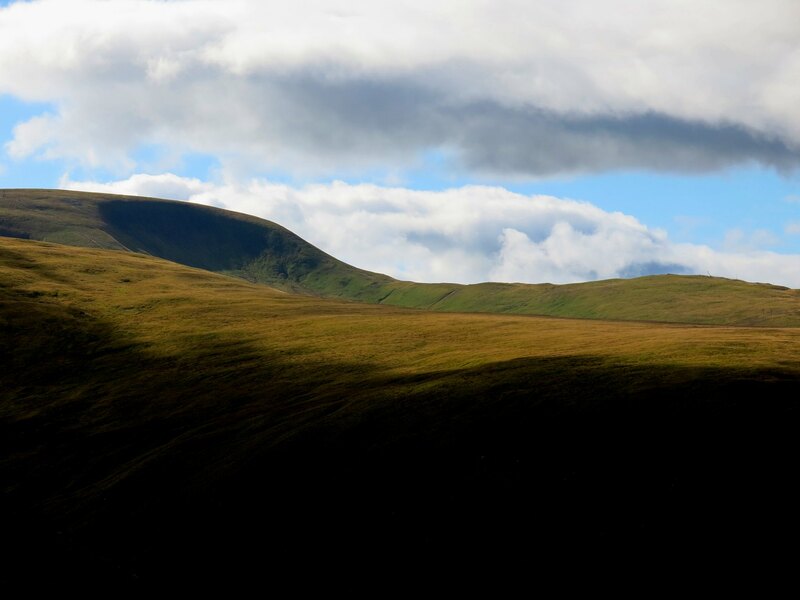 Below them is Carn Aosda. Beyond the stony summit. 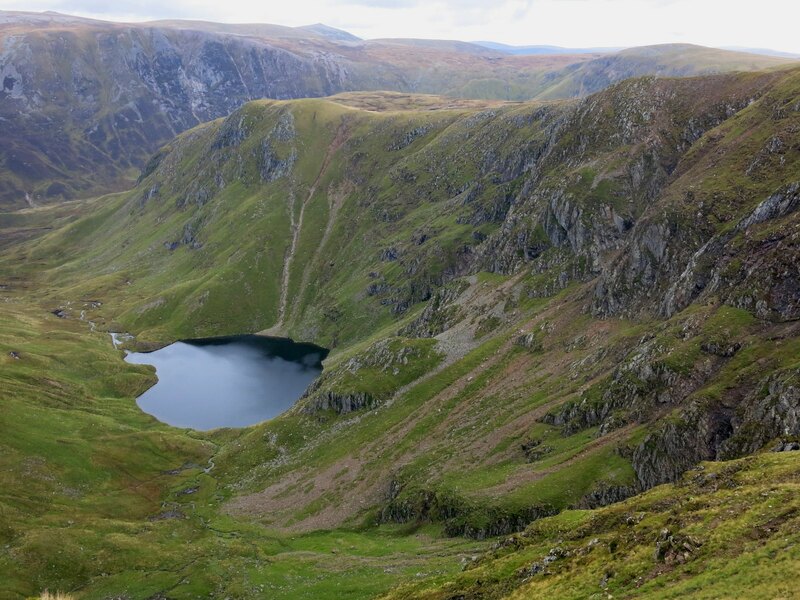 we walked across the flattened top of Carn an Tuirc until we had the sudden view down into Coire Loch Kander. 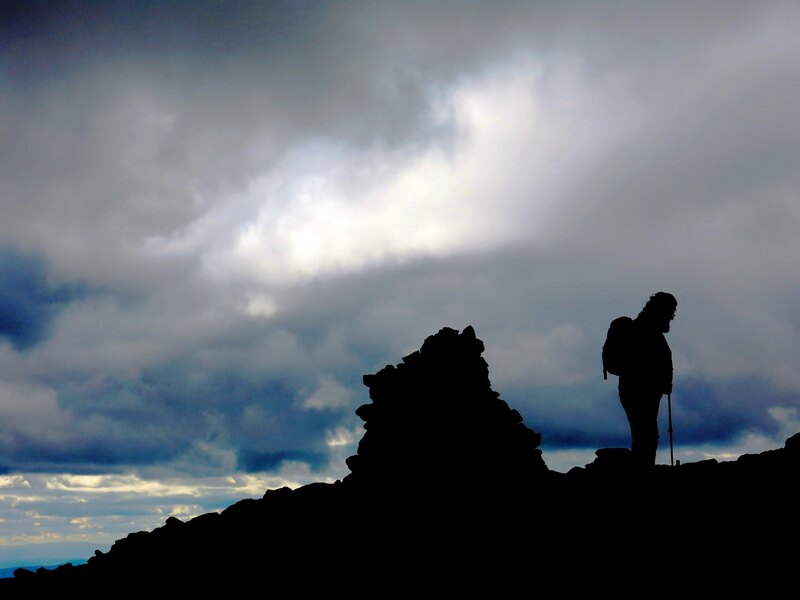 It was then another long, level walk to the summit cairn of Cairn of Claise. 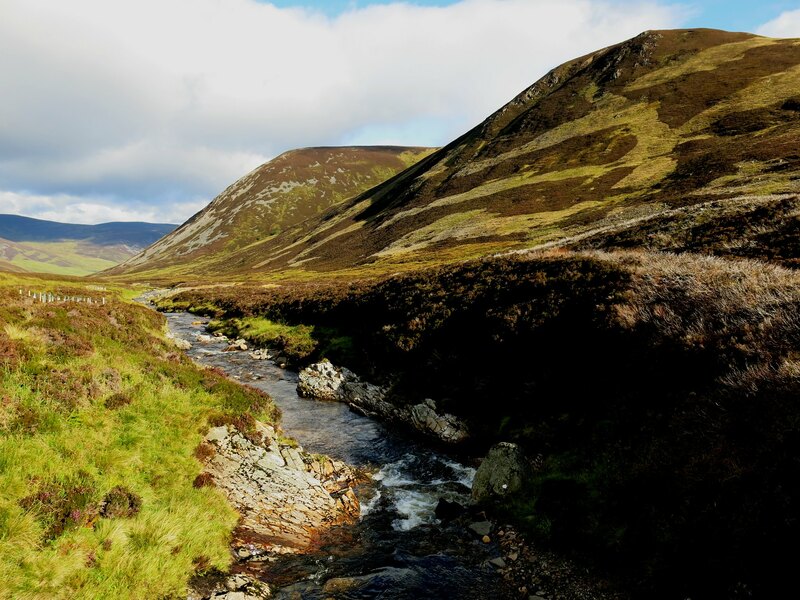 The sun came out again as we headed down the line of the old Monega drove road - this is looking into the hollow of Gharbh-Coire. A distant view of Beinn Bhrotain from the drove road. The three little spots of snow on it were a familiar sight, we had seen them from other hills around the A93 over the course of the week. 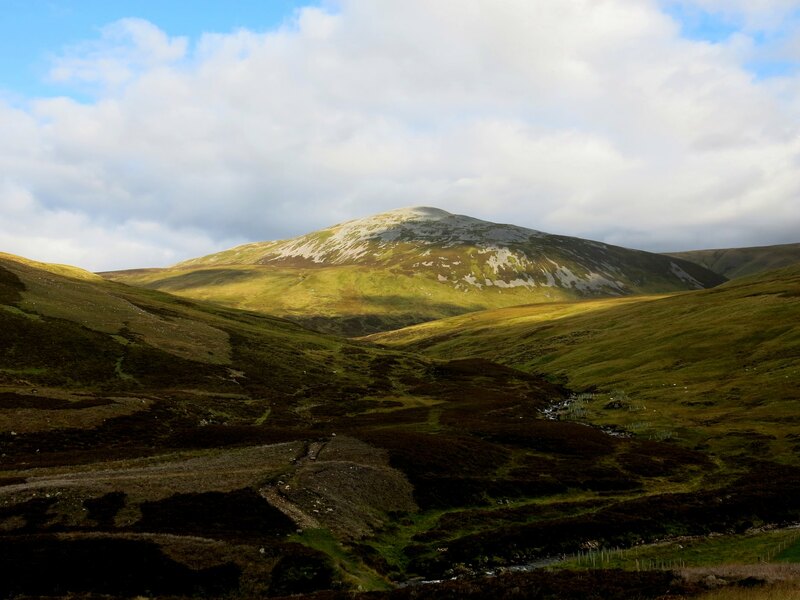 Back to the car - a last look back at Carn an Tuirc, now lit by the afternoon sun.